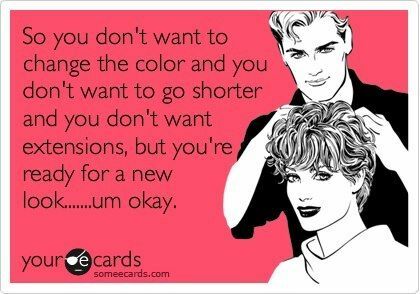 Today is a hair day… mostly cause my (hopefully one day sista-in-law) was texting me.. regarding a much needed hair change. Hmmm I don’t know… is it from the scissors… the bleach… the blow drying… the flat iron… not taking your vitamins… you pick! I have finally decided to hold back the urge for drastic changes & just let is grooowww. I am proud to say I have not done anything to my hair since January 30… & can you believe it!? Its actually growing!! Yippeee! 3) Less Flat Iron… to No Flat Iron… this extreme heat can totally damage your hair! I know its hard.. especially once getting in the habit of using it.. But I have been trying not to use it so much. 4) Condition… I have a leave in conditioner that I try to put in at night, when I know I will be washing my hair in the morning. I’m really not sure how well it is working.. but my ends have held up a lot better then they usually do. 5) Don’t Back Comb… unless its a VERY fancy occasion… I LOVE back combing my fine hair into a Huge Beautiful Do! Anyway.. It causes hair to break… Not grow.. unfortunately! The bigger then hair the closer to God… am I right Ladies!? These five things have been making a difference in my hair care… The other day I was thinking I needed a change… I needed a trim or a colour or a hack job! But I held it off… then today was a totally different story.. I swear it grew & tamed itself over night.. as I absolutely love it! Here is a blog I find that gave me some extra tips for growing my hair… She has LONG BEAUTIFUL hair.. so I have full faith in that her direction is a good one. 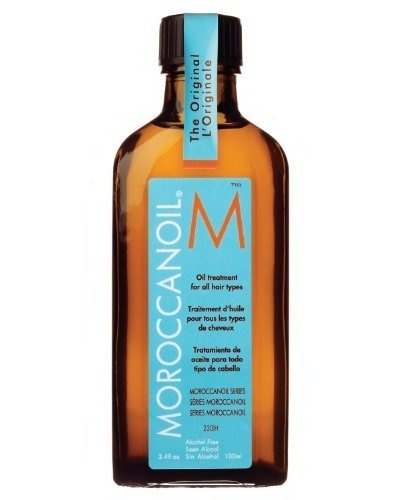 Moroccan Oil – is an oil treatment for all hair types… It leaves your hair with a beautiful shine & oh so soft smooth look & touch.. Plus it helps protect it from the heat & the environment as well as helps to strengthen! What more can you ask for?! DO It… TRY It!! You Will Love It! What are you doing to your hair this summer… Are you cutting it for a beautiful, summer fun style… or you growing your summer fun style from the year before… highlights.. low lights.. staying awww natural!? Hey Girl! I’ve recently added a highlights to my tresses, which is something I haven’t done in literally like 10 years! It wasn’t what I went into the salon for, or what I asked for, but they’re really growing on me. I asked my stylist to “brighten me up” and “give my hair some dimension” which apparently means “huge chunks of blonde” in stylish language! It’s not too bad actually – just very different from what I’m used to. I have to pay attention where I part now, where as for years before I had a solid color and didn’t have to worry about weird lines or highlights going the wrong way. It’s brighter, I just have to watch that the REALLY blonde pieces don’t turn brassy – good ol’ well water! Thanks again for another trusty blog!